A fight over logging restrictions is delaying federal protection of the northern long-eared bat, a Great Lakes species already decimated in the American Northeast. An endangered or threatened listing of the bat has been pushed to April. 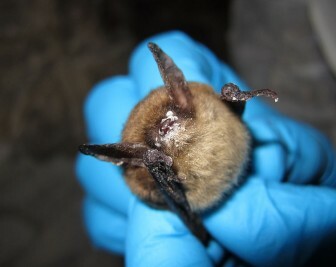 The Fish and Wildlife Service, which has federal jurisdiction over protected species, is using the time to respond to the unexpected controversy, said Mollie Matteson, senior scientist and a bat disease specialist at the Center for Biological Diversity. Forest industry officials worry a federal listing will hinder logging. They propose state-enforced operational guidelines as an alternative. The dispute lies between timber industry advocates and bat conservationists, but political leaders and state delegations also have stock in the issue, Matteson said. The Center for Biological Diversity, a Tucson Ariz. nonprofit organization dedicated to the long-term protection of species, petitioned to classify long-eared bat for threatened or endangered status in 2010. And a Defenders of Wildlife petition for its endangered listing is closing in on its 50,000-signature goal. Fish and Wildlife Service officials recommended the listing, later distributing guidelines on how best to log forests without harming the bats. With the species still unlisted, the guidelines lack the force of law, said Matteson. Enforced or not, the recommendations, which suggest restricted logging from April through October, have fueled industry-led controversy. The proposed guidelines for long-eared bats follow current restriction for the Indiana bat, one of the first species listed under the Endangered Species Act, said Rob Mies, director of the Organization for Bat Conservation based at the Cranbrook Institute of Science in Bloomfield Hills, Mich.
An endangered listing is a decision backed by science — not by economics or politics, he said. Some factions of industry are pushing for a threatened listing, which allows special rules to be written for a species that would exempt certain activities such as logging in the bats’ native habitat. “Timber management programs in Wisconsin and Michigan have begun to address habitat features that support long-eared roosting,” said Henry Schienebeck, executive director of the Great Lakes Timber Professionals Association in Wisconsin. When adult bats forage, their pups are left to hangout in trees. 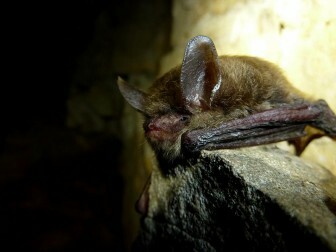 Long-eared bats, more than any other species of bat in America, are associated with old-growth forests, Matteson said. These old growth forests provide many of the habitat features — seams, snags and hollows — that long-eared bats prefer. And industry officials say these trees, often containing dead or dying sections, are the kind that logging operations tend to avoid. But bats are opportunistic and generally look for any type of tree meeting their reproductive and resting needs, said Matteson. The primary threat to the bat is white-nose syndrome, a fungal disease that takes the bats’ fat reserves, killing them during hibernation. Stopping the disease has been nearly impossible. But bat advocates say that other threats can be minimized to improve the fate of the mammal. “The argument that focus on protection of the bats should be reserved for the syndrome does not take into account factors having an influence on the species’ survival,” said Matteson. Other threats — habitat loss, hibernation disturbance and environmental toxins — play a role in the near decimation of the species in the Northeast. Matteson said those threats are factors federal and state governments can control. 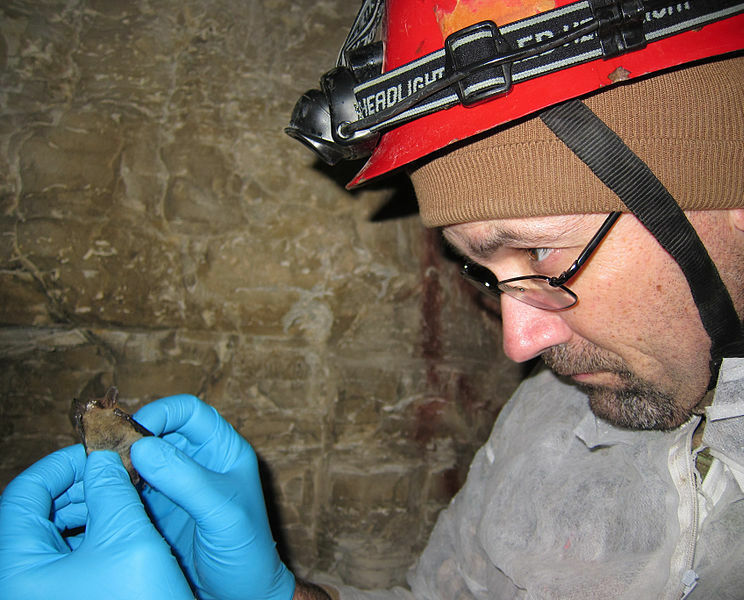 White-nose syndrome is still without a cure. “Many are led to believe this species is endangered, and we should protect it for intrinsic reasons. But if these bats are to disappear, people will begin to see a loss of food production and an increased need for forest management,” said Mies, who’s also the coordinator for the North American Bat Conservation Alliance. That’s because bats eat lots of the same moths and beetles that destroy crops and forests. “States generally have no issue with the need for long-eared bat listing — it’s an issue of details,” Mies said. As conservation advocates push for a listing that protects both the species and its surrounding habitat, industry officials question the role of habitat in protecting bats. “The timber industry has already initiated habitat rehabilitation and doesn’t see species limited by this habitat,” said Schienebeck. Great Lakes bats aren’t dying yet. Experts say the pattern for the fungal disease takes three years to reach peak intensity. This is the third winter the disease has been in the Great Lakes so it may be telling for the bats’ future, they say. The final listing determination was extended six months with the decision coming no later than April 2.
so I have to give up my livelihood, my work, my sole source of income to protect this bat? If logging is prohibited April through October this will put me and alot of others like me who make a living from logging out of business. So this bat will effectively be putting me and my family onto the welfare system in order for us to survive. Lets protect the bat and put people on welfare. That sounds like it makes alot of sense to me.